So if you're a brand that makes navigation products but no one thinks of you when it comes to navigation, what do you do? You erect the world's largest signpost and make it social. To hype it's navigation products and to "make navigation into something social," they built a huge sign next to London's Tower Bridge. 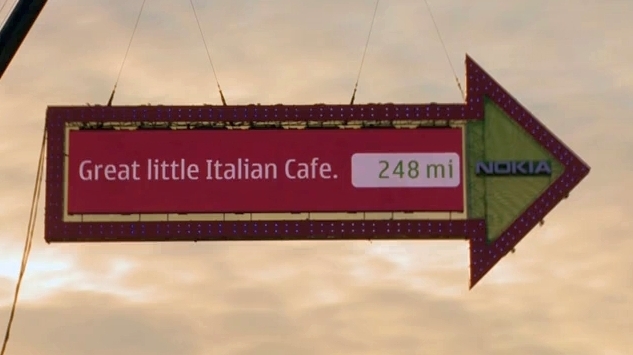 People could text their favorite destinations all over the globe and a few minutes later, the sign would mention the location and point to the location. The whole thing was streamed live to Nokia's site and a data base of everyone's location was built for anyone to peruse. Farfar Stockholm did the work. Realizing the proliferation of cup holders in cars and the apparent fact they're not all occupied with a beverage, Dentyne decided to package their gum in a container that would fit in a cup holder. 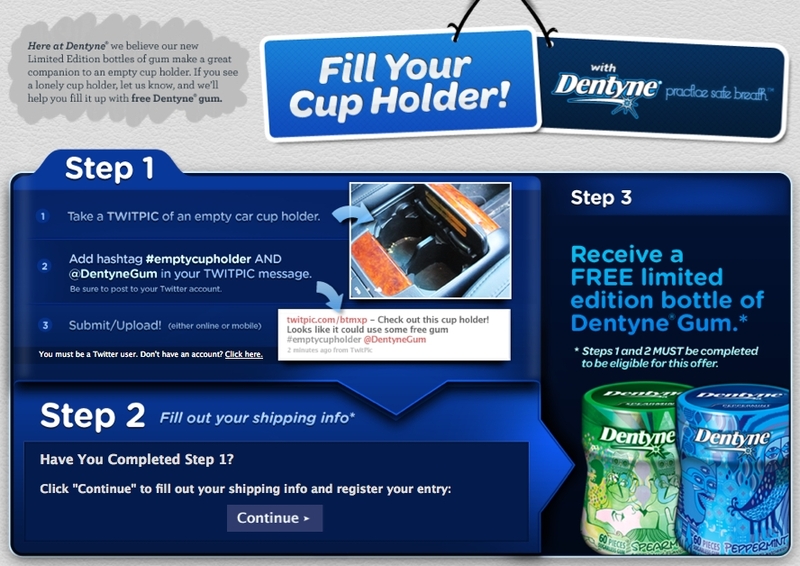 To promote this packaging, Dentyne wants people to Twitpic their empty cup holders with the hashtag #emptycupholderto get a free bottle of gum. Bottle of gum. That just doesn't sound quite right. Wants some free gum? Hurry up. The promotion ends at noon today. We can't tell you who was behind this work. Well, we could but they asked us not to. We're going to honor that request but, wow, for some reason, we feel like going out and buying some wine right now. Stranger things have happened but with just 32 followers, BuyYouTweet, a "viral experiment" that sells tweets to advertisers on eBay, seems like a non-starter. 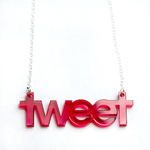 So far the auction, placed by Ben Cooper, sold its first tweet for $3,24. That's not exactly a business model but, as we said, stranger things have happened like, oh, say, cartoon bubbles being labeled rapists. OK. So here we go. Sharpen your bayonets. Polish your vitriol. 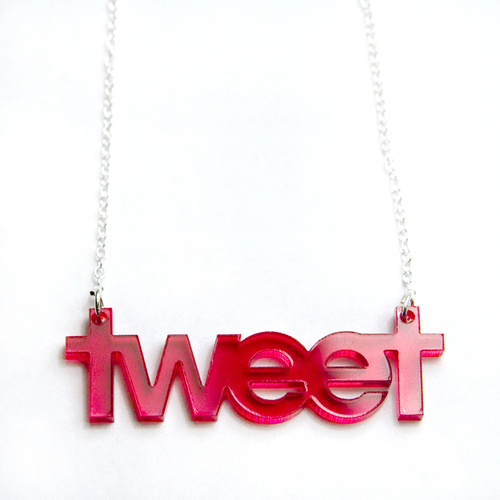 Crank up your voracious commentary. Yes. This is Adrants' first IZEA Sponsored post. Let's get the necessarys out of the way: This is a Sponsored Post written by me on behalf of Coldwell Banker. All opinions are 100% mine. Why are we doing this? It's a newish form of advertising and that's one of the things we write about here on Adrants. While we've written scathing reviews of this form of advertising in the past, it's become a significantly prevalent form on online advertising. We want direct experience and direct feedback from you on this. Yes, we are being paid for this. The other reason we're writing this is because the subject matter is of interest to many. It's all about the 2010 Homebuyer Tax Credits (tracking link). Coldwell Banker (the client) has all the information here (tracking link). In short, homeowners who have lived in a current home consecutively for 5 of the past 8 years can receive up to a $6,500 tax credit when purchasing a home. First time home buyers can receive up to $8,000. As with all things tax-related, there are income limits: $125,000 for singles, $225,000 for married couples with a $20,000 phase-out of the credit for both. You have to apply for this by April 30 and close on your home by June 30. 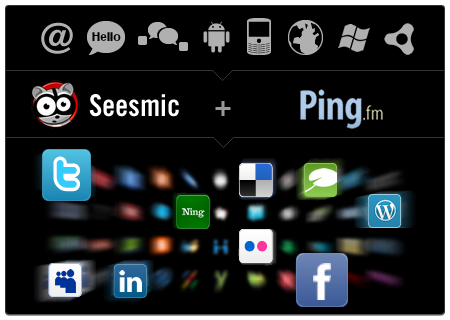 Thanks to Seesmic's recent acquisition of multi-social network updating service, Ping.fm, we're all now in for an exponentially increased onslaught of "I just made a ham and cheese sandwich" updates. There are those who love Ping for its simplicity. And there are those who hate it and its ilk for trying to cram the same update down the throat of multiple services which, because they aren't all the same by design, often call for individualized, network-specific updates. We love it because we're lazy but just wait until brands catch on to this. It will be like broadcast media all over again. Sometimes we never learn. Last night I had the pleasure of recording a Beancast episode with Make the Logo Bigger's Bill Green, Please Feed the Animals' and Lemonade Movie creator Eric Proulx and The Beancast's Bob Knorp. We discussed the recent Domino's recipe change and the importance of actually solving a problem as opposed to just throwing money at it. 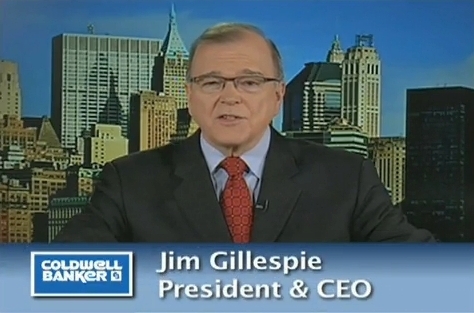 We riffed on the Cablevision debacle. We took at a look at the growing importance of the community manager in relation to the rise in importance of social media. We waxed nostalgic about the jingle and we laughed out loud at Google's $500 million Yelp offer. Check out the show notes here. Download the podcast directly here or get it on iTunes here. In other social media news, Facebook is now a means through which an escaped criminal can taunt police while on the lam. Yes, it's true. 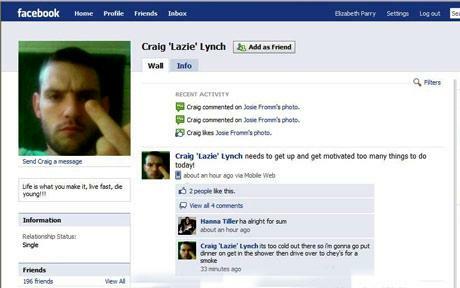 Craig Lynch escaped from Hollesley Bay Prison on September 23 and launched a Facebook page with an image of himself sticking up his middle finger and posts that talk about where he is. Don't you love social media?